These are business card samples for some of our clients with chiropractic practices. 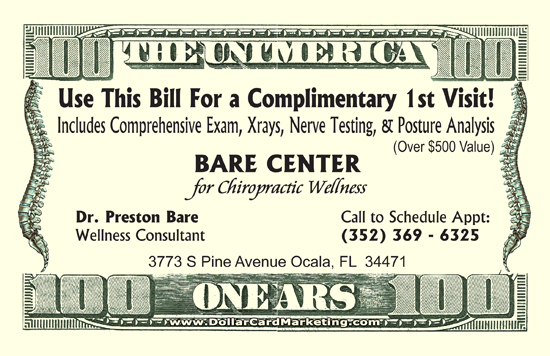 Here’s a set of 100 dollar bill business cards we designed for the Bare Center in Ocala, Florida. These chiropractor business cards are being used as a promotion for a complimentary first visit.